Poppy seed tea is a popular herbal tea infusion using the seeds from the poppy plant. There are several different types of Poppy Seed Tea, depending on the species of the plant and seeds used. For instance, the tea can be made utilizing seeds from the California Poppy Plant (Eschscholzia californica). A more dangerous form of the tea is made with the seeds of Papaver somniferum, which is also known as the the opium poppy plant. Individuals choose the type of seeds based on personal preference and the benefits that they would like to experience. This post is dedicated to explaining the main facts of this complex tea in detail, which is why it is considered the Ultimate Guide.Depending on the type of seeds used, you can usually start feeling the positive effects of the tea within an hour. 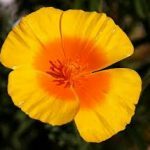 I have detailed the entire process of making California Poppy Seed Tea on my post, How to Make Poppy Tea. The basic steps are the same for all types of Poppy Seed Tea, and the only real difference is the type of seeds used. I always recommend speaking with your doctor or healthcare professional prior to consuming any form of herbal tea. This is especially important for poppy seed tea. Several species of seeds exist, and each one has a unique profile and provides different side effects. Poppy tea may interact with prescription medications, and your doctor can help minimize any risks. This post is for informational purposes only, and it does not include medical advice. This is the Ultimate Guide for Poppy Seed Tea. I have spent years studying this form of herbal tea, and I have compiled the main facts to create this post. Since this is a complex issue, I have decided to separate it into several different categories. I will be creating a table of contents in the near future to help navigate this sizeable article. Poppy Seed Tea is a form of herbal tea that utilizes the seeds from the poppy flower. These poppy flowers are all members of the Papaveraceae family, which is also known as the poppy family. There are ~ 85 species that produce poppy seeds, and any of these can be used to make poppy seed tea. Don’t worry, I am not going to discuss every species of poppy on this guide. Instead, I will focus on the most relevant plants. Each type of poppy seeds is unique, but they do share certain characteristics. Poppy seed tea is a very popular form of herbal tea, and it has been used for centuries. Ancient cultures used poppy seed tea for both religious and medicinal purposes. A majority of the historical preparations utilized the P. somniferum form of the tea. As stated above, this form of the tea may contain opiate compounds. The Papaver somniferum plant was first cultivated in Ancient Mesopotamia ~ 3400 BC. The Sumarians lovingly referred to the beautiful flower as the “joy plant.” Cultivation and harvesting knowledge spread rapidly, and techniques continuously improved. The Assyrians and Babylonians shared their harvesting and tea preparation techniques with the Egyptians. Around 1300 BC, the practice of consuming poppy tea quickly increased during the reign of the Pharaoh Tutankhamun. Tutankhamun ordered his massive number of slaves to plant large poppy fields so they could harvest seeds in addition to raw opiate compounds. The Egyptians then traded the excess poppy products to Greece and other parts of Europe, which spread the reach of poppy tea even further. Poppy seed tea recipes have been perfected for centuries, and there are several great methods to prepare a delicious cup of tea. The poppy seed tea preparation techniques are similar to other forms of herbal tea, but they have one big difference. Herbal tea infusions primarily utilize warm or hot water, and poppy seed tea can be made using either cold or warm water. I actually suggest using cold water, but it is a matter of personal preference. If you would like to learn more about making poppy seed tea, check out my Poppy Seed Herbal Tea Recipe. This section will discuss two of the primary forms of poppy seed tea. It includes information pertaining to the specific poppy plants that produce the individual species of seeds. California Poppy Tea is made with the plant Eschscholzia californica. The California poppy plant is also known as the golden poppy thanks to its beautiful golden flower. It is primarily grown in gardens and blooms in the summer. The tea is made with all parts of the plant except for the roots. the roots are actually used to make certain types of tinctures. Many people consume the tea in order to feel more relaxed. It is commonly made prior to bed time to help induce sleep. You can read more about this plant in my detailed post, California Poppy Plant Guide. Another form of poppy tea utilizes seeds produced by the poppy plant, P. somniferum. The opium poppy plant, Papaver somniferum, grows up to 5 feet tall. The plant thrives with fertile soil and full sunlight. Papaver somniferum is unique even among other poppy plants because it produces opiate alkaloids as a natural defense against predators. Although a majority of the active opiate compounds are found in the pod walls, the seeds also contain trace amounts of these same alkaloids. During the harvesting process, the seeds come into contact with the other parts of the flower. The amount of the opiate compounds that the seeds contain varies widely from plant to plant. The most common alkaloid found in poppy seeds is morphine, which still comprises a small percentage (~ 8-10%) of total alkaloids. The other alkaloids contained in the seeds include codeine and thebaine. The drug manufacturers obtain the compounds from the pod of the plant to help create prescription drugs. Most poppy seeds are washed and the compounds are removed from the seeds. Poppy seeds are seeds derived from a poppy plant. Poppy plants are members of the Papaveraceae family, and several species of poppy plant exist. As a result, several types of poppy seeds exist, and each one has different characteristics. 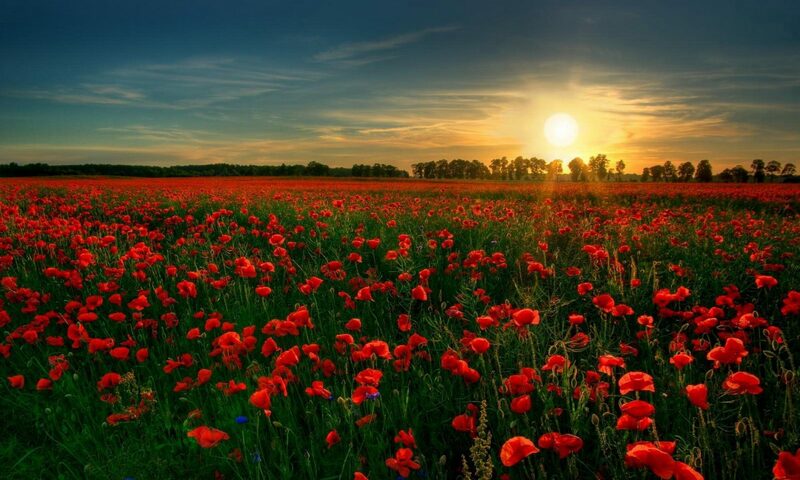 Only one of the species of poppy plants (Papaver somniferum) naturally contains opiate compounds like morphine. 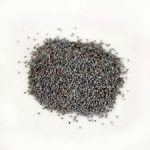 Many of the poppy seeds sold online and in grocery stores are derived from the Papaver somniferum plant, and they have been washed to remove the trace amounts of opiate compounds. The coloring of unwashed poppy seeds are darker than washed seeds. Most unwashed seeds are dark blue or black in color. The package or item description will usually list whether or not the seeds are washed. It is important for you to discover the particular type of seeds that you have purchased and whether they are washed or unwashed. I always recommend purchasing poppy seeds (and many other consumer goods) online. Despite my suggestion, some individuals still attempt to purchase the seeds in bulk from a local grocery store. There are various reasons that people choose local stores, and often it is because they cannot wait for shipping. Other people prefer supporting local businesses, or they want to see the seeds in person before they purchase. The best chance for finding a variety of delicious poppy seeds is to search local health food stores, or natural food markets. Many of the national chain stores do not sell fresh or bulk poppy seeds. Many never have, and others were forced to stop selling bulk seeds because they can’t compete with the health food stores. Some individuals also run into another common problem: Local stores may carry the seeds, but they don’t have the item in stock. Chances are that there are several people in the average town/city looking for fresh bulk poppy seeds. There may be hundreds in larger cities. In summary, it can be difficult to find quality bulk poppy seeds locally, but the best chance is to check health food stores. These stores also may not sell quality seeds, but they are your best chance. Someone new to the the poppy seed scene can spend hours searching for quality seeds, which is why many people purchase online. It may take a little longer, but shipping times are getting faster and cheaper. You can learn more benefits to purchasing seeds online by reading the next section. I suggest purchasing poppy seeds online for several reasons. First, it is much easier to find bulk poppy seeds online. Second, the quality is much better online than anything you will be able to find locally. Thirdly, prices are usually lower than what you find in the store. The final reason is that the item descriptions are usually much better. One primary drawback also exists, and it was briefly mentioned above. Purchasing seeds online may result in you having to wait for delivery; however, next day shipping is usually available, and Same Day shipping is becoming increasingly popular. You have better chances of seeing the Same Day option if you live in a larger city. I have completed a List of the Best Seeds for Tea that ranks each brand. I keep that list updated on a regular basis to reflect changes in quality. I currently have one brand of poppy seeds that is my favorite. 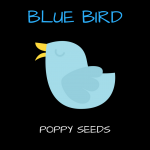 Blue Bird Poppy Seeds are delicious and always fresh. I have included a link to learn more about these poppy seeds above. Clicking on the link or picture above will take you to the Lone Goose Bakery website, where you can learn more about these seeds or purchase, if desired. Poppy seed tea has become more popular over the past ten years as other forms of the tea have declined. The other form of tea, Poppy Pod Tea, has decreased in popularity as it has become increasingly difficult to buy/sell poppy pods. Poppy pod possession (Papaver somniferum) is actually illegal in the United States and many other countries. Many companies historically sold the pods for decoration purposes, but this was still illegal. About 10 years ago, the government began enforcing the laws more strictly, resulting in poppy pods becoming harder to find. Poppy seeds are still perfectly legal to buy and sell in the United States and most other countries. Many analysts are anticipating a further increase in poppy seed tea use as it becomes even harder for people to obtain other pain relief medications. Poppy seed tea has a wide range of effects, both positive and negative. The effects can vary from individual to individual, and the species of poppy seeds play a large part too. You are unique, and the way that any form of tea affects you is also unique. This section contains some general info related to the main effects of this form of tea, and it is separated into positive and negative categories. Poppy seed tea is primarily consumed for its calming and relaxing effects. Different types of seeds produce different benefits. Some forms even produce euphoric effects. Use of poppy seed tea originated in parts of Central and Eastern Europe and Central and South Central Asia thousands of years ago. Tea drinkers consume this beverage to obtain the following possible benefits: pain relief, anxiety reduction, lower blood pressure, mood improvement, anti-diarrheal, and sleep improvement. Some people consume poppy seed tea to help with the withdrawals from other opiates. Poppy seeds contain several vitamins & minerals such as calcium, copper, fiber, iron, magnesium, manganese, potassium, and zinc. 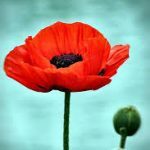 I suggest reading my detailed guide of the Benefits of Poppy Tea to learn more about this complex subject. There are also possible negative effects associated with poppy seed tea. The negative effects are very dependent on the type of poppy seeds that are consumed. For California Poppy Seed Tea the negative side effects include: feeling drowsy or sleepy, lower blood pressure, slow breathing, and possible nausea. For the more dangerous form of the tea (P. somniferum), negative effects include: lethargy, constipation, urinary retention, decreased blood pressure, slower breathing, and nausea. The nausea could possibly be due to noscapine, and this negative effect is usually more common with first time uses. The P. somniferum form of this tea also has possible long term negative effects. People that consume large amounts of unwashed seeds regularly may become physically and psychologically addicted. Some individuals have chosen to consume poppy seed tea to help them with the withdrawal symptoms from other opiates. These individuals are at higher risk for becoming addicted to the tea. In the end, they are risking replacing one addiction for another. These people may experience withdrawal symptoms if they suddenly stop consuming P. somniferum poppy seed tea. Consuming extremely large amounts of P. somniferum seeds can lead to severe respiratory depression that may result in death. It is also extremely dangerous to mix consumption of this form of poppy seed tea with other prescription medications. Mixing the tea with other pain or anxiety medications can lead to an even greater impact on breathing and blood pressure, and it may also ultimately lead to death. Use common sense and contact your doctor prior to consuming any forms of herbal tea. Poppy seed tea is following the trend of other forms of herbal tea and becoming increasingly popular. Many people make the mistake of trying to make this tea without learning the complex nature and risks. Individuals that take the time to read articles like this and familiarize themselves with the risks can minimize the potential for unpleasant side effects. It is possible to experience several health benefits from this tea if the correct species is used. If you have any questions, please contact me or leave a comment below. I really do enjoy my discussions with the members of the PSTR Community! The species Papaver somniferum produces seeds that may contain trace amounts of opiate alkaloids. Consuming tea made with these unwashed seeds may be dangerous, especially if they are consumed in high amounts. You can help support this community without spending an extra penny. If you’re planning on buying something (literally anything) on Amazon, click one of the Amazon links contained on this page before making your purchase. 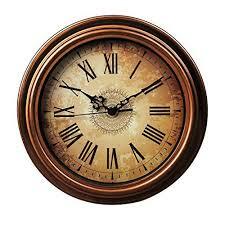 This website will make a small percentage of your total purchase price for any items purchased within 24 hours of clicking the link. You can purchase anything on Amazon, it doesn’t have to be something advertised on this website. 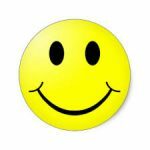 I sincerely appreciate your support, it helps me dedicate a sufficient amount of my time to enhance this free resource! This is currently my favorite brand of poppy seeds sold on Amazon. It is usually in stock, and it is being sold at a reasonable price. 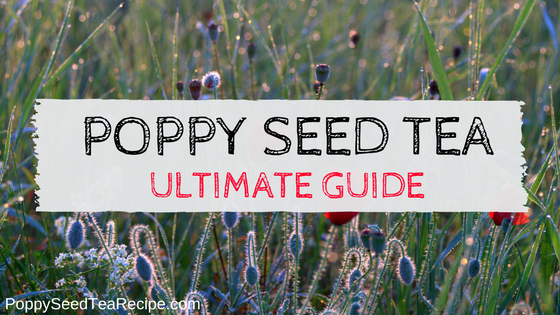 You can click the link or picture above to be taken to Amazon to learn more about Food to Live Poppy Seeds! Do you know of other information about poppy seed tea? Please share your knowledge with this community by posting a comment below! Poppy Seed Tea has been used for thousands of years for various purposes. Learn all of the fun facts pertaining to this potent beverage. I was totally against you doing this at first. I have totally changed my mind tho. Ty for all your work and information. Truly appreciated. Sorry for some of the bad things I said in the past. Fabulous… YR doin’ wonderful work! I thought I had signed up for your newsletter in the past, but I never received any, so I will try again. Let me know if you have any issues and I will look into it. We are revamping the newsletter and our contact page. I ordered as you recommended last week, BB. The 5lb and got a 7% discount. I used your recipe and WOW!!! Way better than TNT by a long shot! Well worth the price. I wanted to know about using them the 2nd time. Can you give me instructions on how you do that? I too have spent many hours/days researching poppy seeds and the brands that are good for use. My research always includes finding companies that sell bulk seeds and the very first thing I do is email them. I ask the companies whether their seeds are steamed, irradiated, or treated with ethylene oxide. We all know that we’re trying to avoid the steamed seeds, as well as the irradiated, which is a process that uses harmful (debatable by some) radiation to clean the seeds of fungi and other contaminates as well as rendering them non viable. It’s the Ethylene Oxide (ETO) that concerned me here. I found out about ETO while asking whether or not someone’s seeds where washed or irradiated to which they said no but they where treated with ETO. ETO is a liquid chemical that turns to gas at a certain temp and it’s also used to treat the seeds for contaminates. In the medical field, it’s used to sterilize equipment. So I researched ETO and found that companies cannot call their product organic if they are treated with it but they also don’t have to disclose its use. Many studies have been done on its use and it turns out that it is known to cause cancer at high exposure levels. Mainly for the people who work with it. https://www.cdc.gov/niosh/pgms/worknotify/ethyleneoxide.html <—-article about a study. I’ll wrap it up. I advise that everyone does their research because we are possibly exposed to high levels of ETO. I also recommend that everyone gives companies their opinion on this treatment in hopes we can influence them to return to selling raw seeds. 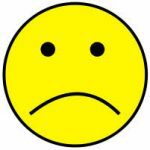 After all what’s worse, a chemical known to cause cancer or maybe a little mold on a few seeds that is unlikely if they’re handled correctly. Brandon, I’m writing this in hopes that you post it for everyone’s info, you can edit it if you like. I just feel it’s important to know. Thanks for the informative post! No editing necessary! Thanks for the heads up brochacho.